So you want to own a franchise. It is a great way to be your boss, but without having to create everything from scratch for yourself. Your success though not only depends on which particular franchise you decide to join, but also the type of franchise. There are a lot more of them than you probably realize. 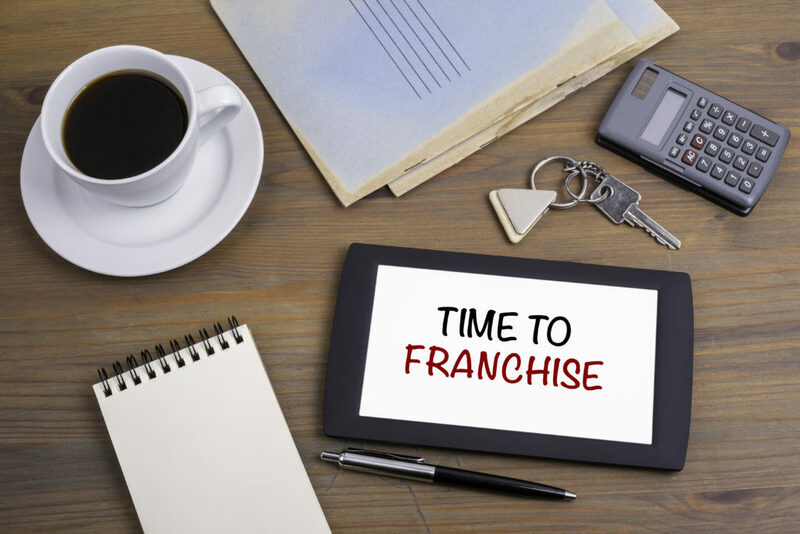 Types of franchises included everything from gyms to auto shops. Food franchises, however, are probable the most popular. Fast Food Franchises. Think McDonald’s and Wendy’s. These food franchises focus on giving quick service with most foods premade. Fast Casual Franchises. With these types of food franchises, customers can expect a little higher quality of food and service. The menus tend to be larger and typically some sort of limited table service is offered. You still order from a counter though. Full Service Franchises. These franchises are like all full service restaurants. Customers will get the full dining experience where they are seated at a table and are offered a full range of food and drink options that are all freshly made. When you think of franchises, most likely the names that pop into your head are all food franchises. This brand recognition can really benefit your franchise when starting out. You get to benefit from a built-in customer base and a strong reputation that usually takes years to build up when you are doing it all on your own. When customers choose to eat at a food franchise instead of an original restaurant or café, it is because they don’t want any surprises. They want to buy products that they know they will like. A sense of familiarity is very attractive to a lot of people. They appreciate knowing what it expect from the types of food, quality of service as well as hours of operation and layout design. A big reason why food franchises are so successful is that because people will always need to eat. When there is a recession and people are watching what they spend, they will usually still once every week or every two weeks go out to eat. People generally don’t feel as guilt about buying themselves food than they will other types of products. Another benefit with choosing a food franchise is that most of them offer you in-depth training to help run a successful franchise unit. This is especially important if you are a first-time business owner. You will get training on how to run the food franchise, how hire employees and even help with advertising and marketing. Most also offer you continuous support even after you are up and running. They have advisors available who can help you when big issues pop up. Probably the best thing about choosing a food franchise is that you are not jumping into the business world all alone. You will have plenty of tools and resources at your disposal to help you not only be as prepared as you possible can going into it all, but to also help you get through any bumps in the road you might experience. It is important to pick a food franchisor who is really invested in your success. That way you can feel confident that they will do their best to help you be as successful as possible. One popular type of food franchise are food trucks. They are a great opportunity especially for people new to running a business. Generally, they are require a smaller initial investment than a franchise with a physical location and you won’t need to hire as many employees at least at first. Another great thing about the food truck industry is that there are so many different ways you can attract customers. People around the country are choosing food trucks for their special events everything from birthday parties and picnics to weddings. Today’s market is great for the food truck industry. Know exactly how much you need to save. Initial startup costs and financial requirements for franchises can vary from $10,000 to a couple of million so it is important know exactly what your goal is first. For more information about food franchises, especially food trucks, call Zac’s Burgers today.